At MarketingSherpa's 3rd Annual Email Summit award ceremony held today, Jeanne Hopkins and Exact Target's Joel Book presented Email Awards in recognition of the year's most outstanding email marketing campaigns. Logitech's campaign submitted by Direct Impact, "Logitech DiNovo Edge and Logitech MX Revolution," was named Best of Show. The awards are rewarding campaigns that work successfully in the real world. Entries were submitted into 10 categories and further broken into B-to-B or consumer. Attendees of the Email Summit will be given the opportunity to review all the winning campaigns. Best Email Newsletter for Marketing Purposes (Consumer) Gold: "HP Home & Home Office Store Newsletter Redesign" submitted by Yesmail Silver (tie): "My Coke Rewards Newsletter" submitted by Yesmail Silver (tie): "Sears - What's in Store for You? email program" submitted by M Marketing Inc. It was great meeting you, Anna! If I missed any blog posts in this overview, feel free to add them in the comments! 1. marketers have to be more than marketers: they need to get along with sales, the CFO,... it's not just about delivering demand. 2. Is 2008 the year that email marketing get religion on landing pages? For the first time the landing pages are almost always part of the discussion. 3. It's all about the message: use the click-to-open rate to measure the quality of your content. It will tell you over time what kind of subjects your readers like. Like I did last week at the EEC event, I will be live blogging again. Today we start at 8.45am Eastern time (2.45pm CET). Stay tuned. eROI wanted to give marketers a new mobile tool to help them stay connected to the sites and blogs that they should be reading on the go. Therefore they brought together a collection of some of the top sites in a handy mobile RSS reader app. You can even add your own content from a library of sites and blogs as well as add any RSS feeds you might find useful. Get it here! Welcome and transactional emails both provide great opportunities for engaging with potential customers but are greatly underutilized. "unfortunately one of my favourite daily email newsletters has just taken what I consider to be a big backwards step." "The Yahoo! Mail team was not satisfied with their acid test results, even though they only lacked support for a single item on our list. So they went off and remedied the bug and are now in 100% compliance." Dave Kearney explains how to easily tag your email links in Google Analytics so you can better track your email marketing campaigns. Yesterday I had the pleasure and the privilege to interview Vicki Morris, who is VP of Marketing at NorthStar (the leading provider of wealth management software to financial services institutions). 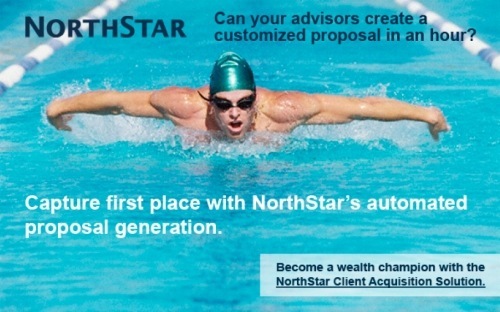 In the interview, I asked Vicki to tell us a bit more about NorthStar so that I could get a better feel of their business and target audience. She said that in their industry it's all about who you know, so it's very relationship-based. Because of this and because they are on a tight marketing budget, Vicki was tasked with finding both an innovative and cost-effective way to tell their market that a new class of software was available and of course to generate leads and sales. To achieve her goals, Vicki and her team experimented with 3 different types of strategies. She will share the results and outcome of these three strategies in her session "B-to-B Segmentation Strategies and Procedures" at MarketingSherpa's Email Summit next week but she already shared a lot of the information and best practices with me yesterday. So, if you want to find out how she managed to double the number of client engagements and revenue of her company in just 1 year, you should definitely listen to my interview with her (mp3, 7MB, 29 min). Savvy marketers have already implemented best practices to support a mobile e-mail marketing strategy. Have you? Consider these mobile e-mail marketing “musts” for 2008.
your mail will not be blocked if it does not look like spam. What kinds of things do I mean? Here are things that spammers do, that often non-spammers do as well. The importance of both discounts and free shipping offers as determinants for opening and reading email messages rose by 15% last year. However, this figure is not as significant to the subscriber as knowing and trusting the sender and "prior value". Read this and then have a look at your own contact form on your website. Last Friday I returned from the EEC's Email Evolution Conference in San Diego where I spoke on a keynote panel about blogging. It was a great event, both in terms of sessions and in terms of networking. Next week I'll be attending MarketingSherpa's 3rd annual Email Summit in Miami. MarketingSherpa actually invited me to their event as a blogger and have asked me to attend the sessions and blog about what I learn at the event. So look out for more live blog posts early next week! If you are attending the summit next week, let me know! We are arranging an informal get together with some folks from the Email Marketer's Club. Live from Email Evolution Conference: Bloggers Unite: Passion, Power, or People? The final day of the Email Evolution Conference opened yesterday with a keynote panel discussion focused on the power of blogging. Relevance and vigilance: These are two watchwords attendees most likely carried with them from a luncheon panel discussion held Tuesday during the Email Evolution Conference hosted by the Email Experience Council (eec) and DMA. “The cornerstone of any company’s business and marketing strategy should be understanding and facilitating relationships and communication between their customers,” said Pete Sheinbaum, CEO of DailyCandy at the Email Evolution Conference. The Email Experience Council presented Wacom and eROI with its 2008 Email Performance Award, which recognizes an organization that has created an email marketing campaign that demonstrates the full power of the email channel. The Email Experience Council announced Tuesday that it is “taking over guardianship” of the Email Measurement Accuracy Coalition, an independent group formed last April that has been working on establishing e-mail marketing measurement standards. If you missed out on the Email Evolution Conference this year you’re not completely out of luck because bloggers and reporters were all over it. Postal vs. Email: Odd Couple or Match Made in Heaven? Email and postal are a match made in heaven. Both are direct media and both want to elicit a response from the intended audience. The only place they differ is in their delivery, but so what? You don't have to choose one or the other. MarketingSherpa's paper Top 12 Email Newsletter Mistakes Nearly Everyone Makes insists that you request a dedicated IP from your ESP. This sounds great in theory, but not in practice. Chad White provides some great insights and learnings from the event. Should email marketers be worried about statistics claiming that young people don’t use email anymore? Email is a powerful tool for reaching consumers, and it works even better in conjunction with other disciplines, both online and offline. But marketers are still running up against obstacles. On Monday, Chad White and DJ Waldow discussed the good, the bad, and the ugly of four email designs by BlueFly, All Recipes, PajamaGram, and American Airlines. eROI wanted to give marketers a new mobile tool to help them stay connected to the sites and blogs that they should be reading on the go. Anna Billstrom interviews Stephen Wellman from Informationweek about their newsletter program. Some great recommendations here. It’s clear that the iPhone is more than a fad. In a little more than six months, 3.7 million Americans and around 400,000 Europeans have purchased an iPhone. The Email Experience Council, the Direct Marketing Association's e-mail marketing arm, is taking over guardianship of the Email Measurement Accuracy Coalition, which was formed in April 2007 to establish e-mail marketing measurement standards. Amy J. Black attended one of the pre-conference sessions at the EEC event called the "Email Marketing Bootcamp". This was a session that had roughly 50 people from different companies (medium to large in size) who wanted a crash course in email marketing. -> check out the FTC website and comment on their guidelines (by April 11th) - they want the industry to be self-regulatory -> however, they expect to have federal legislation on the use of personal data in the future.